A series of modifications in the current Government’s administration were announced on Tuesday, December 13th by Prime Minister Rt. Honorable Dean Barrow. 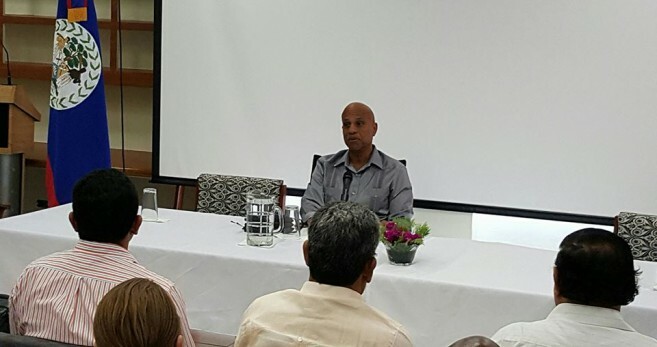 At his last press conference for 2016, held in the capital city of Belmopan, Barrow briefed the media on the departure of Attorney General and Minister of Natural Resources, Senator Vanessa Retreage, and the changes in his third cabinet reshuffle. Barrow began the press conference by clearing all speculations in connection to Retreage’s resignation. He explained that she had given a one- year time limit of service upon her appointment in November of 2015. 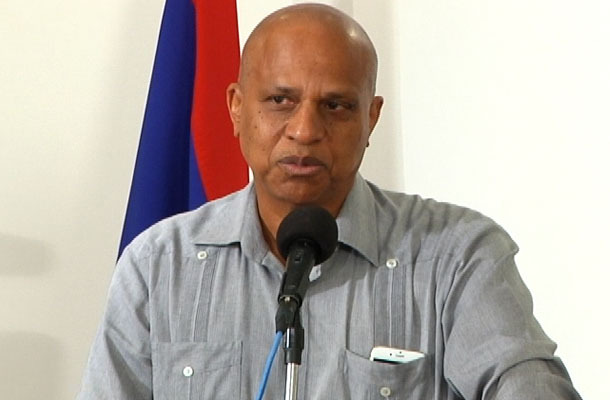 Retreage, who was present at the press conference, thanked Prime Minister Barrow for the privilege to serve the government, and the people of Belize. She further explained that due to both family and business commitments she is returning to her private practice. Barrow also explained his appointment as Minister of Natural Resources, which includes the very important portfolio of the Lands Department. Even though this Ministry will now be under his wing, Barrow will not oversee the day to day functions of this Department. That responsibility will fall under the leadership of Minister of State in the Ministry of Finance, Senator Carla Barnett. The vacant position for Attorney General left by Retreage has now been filled By Speaker of the House of Representatives, Honorable Michael Peyrefitte. Peyrefitte will also become a Senator, since Retreage had left that post vacant at the Senate as well. “As of January 1, 2017 Mr. Peyrefitte will be assuming this position,” said Barrow. Peyrefitte’s replacement as Speaker will be the President of the Belize Cancer Society and Chairman of the National AIDS Commission, Laura Longsworth. The next change announced by Barrow was in the Ministry of Home Affairs and the Police Department, which were also held by Retreage. Barrow informed the attendees that Minister of Foreign Affairs, Honorable Wilfred Elrington will be in charge of these Ministries. “The arrangement will include Honorable Elodio Aragon, Minister of State in the Home Affairs Department, with the responsibility to run the Ministries’ leadership. He will be in charge of their day-to-day basis,” Barrow stated. No changes were made to the remaining of portfolios in Government. During the last moments of the session, Barrow took a few questions from the media. He offered no resistance in weighing in on the fraudulent land scandals that have been making the headlines. The land transactions and payments of $400,000 paid in compensation to Andre Vega and Sharon Pitts is a topic which continues to leave more questions than answers. However, it was mentioned that Government is determined to recover those monies. It was indicated at the press meeting that documents would be filed with the courts in an attempt to initiate legal proceedings against both Vega and Pitts. In addition, Barrow also touched on the recent land scandal involving a total of 1,600 acres in Carmelita Village in the Orange Walk District. The report states that the land was distributed between 50 citizens, but in a short time, all these land was transferred to the ownership of the Vega family. The speculations that most of the transferred land titles occurred before the applicants had actually acquired the land has increased the urgency to clean-up and reform the Lands Department. Barrow ended by stating that if the investigation on the recent accusations regarding this new land scandal prove positive, the Government will condemn such transfers, voiding each one of them. He was clear with reporters, stating that anyone involved in the wrongdoing will face the consequences. However, there was no mention regarding the Superbond and where Belize stands in connection with the scheduled payment due in February of 2017. In previous interviews, Prime Minister Barrow has only mentioned that they are working towards the restructuring the payment, but up to date, no further details have been provided.